iP3: New iMac rumor pointing to a Release date of May 3rd? New iMac rumor pointing to a Release date of May 3rd? Apple is rumored to be releasing updated iMacs on Tuesday, May 3rd, according to AppleInsider. More specifically, people familiar with the matter say Apple plans to introduce the new models on Tuesday, May 3, swapping out the systems' first-gen Core i processors and miniDisplay ports for second-generation Core i chips and the company's new high-speed Thunderbolt port. 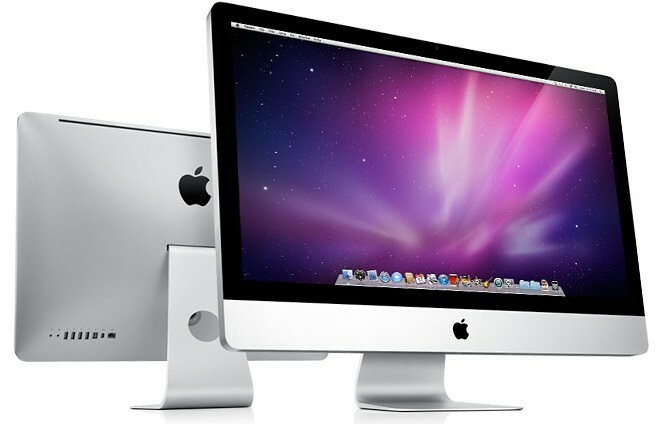 However, rumors that 2011 would see changes to the iMacs' display panel size (1, 2) and the inclusion of 6000-series AMD Radeon HD chips, could not be confirmed with any degree of certainty. A previous report said Apple has already begun delaying orders for the iMac due to the upcoming refresh.